The purpose of the accident flight was to reposition the accident airplane in order to have maintenance performed on its alternator. The accident pilot planned to fly with the airplane's landing gear extended for the duration of the flight and used a handheld radio for communications, presumably because of the intermittent or non-functional state of the alternator. Another pilot, who was flying in his own airplane, accompanied the accident flight, and they arrived in the vicinity of the destination airport about the same time. As the accident pilot maneuvered his airplane to land, the accompanying pilot watched as the accident airplane flew a downwind traffic pattern leg very close to the runway, then entered a "tight" base-to-final turn. The airplane subsequently entered what the accompanying pilot described as an accelerated aerodynamic stall and descended in a nose-down attitude toward the ground. The airplane impacted trees and terrain about 500 ft short of the runway threshold. A postaccident examination of the wreckage revealed no evidence of any preimpact mechanical malfunctions or failures, with the exception of the alternator, which failed a diagnostic test run. The pilot's failure to maintain adequate airspeed and his exceedance of the airplane's critical angle of attack while maneuvering for landing, which resulted in an aerodynamic stall. 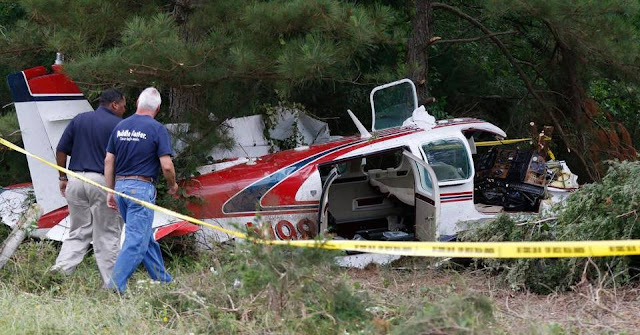 Barbara Harris-Para died when the Beech A36 Bonanza (N985K) crashed into woods during a landing attempt at Siler City Municipal Airport, North Carolina. Barbara was a flight instructor and was once governor of the New Jersey/New York section of the Ninety-Nines, a women’s flying club founded by aviation pioneer Amelia Earhart. For her, aviation was not a childhood dream, but it turned into one later in life. “She was always afraid of heights, believe it or not. She decided she would learn how to fly to overcome her fear of heights. Then she really got into it,” her brother said. 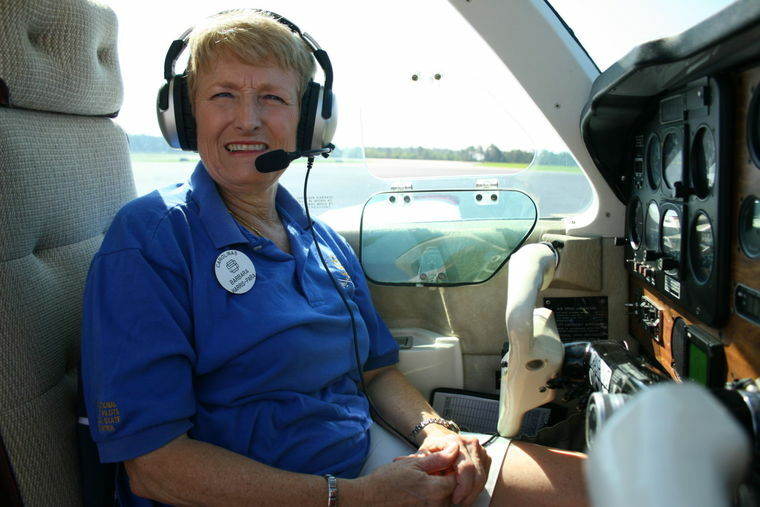 Over the next 30 years, she became a very experienced pilot and a flight instructor and, after retiring from teaching in 1998, she worked for the Federal Aviation Administration as a Freedom of Information Act officer, he said. 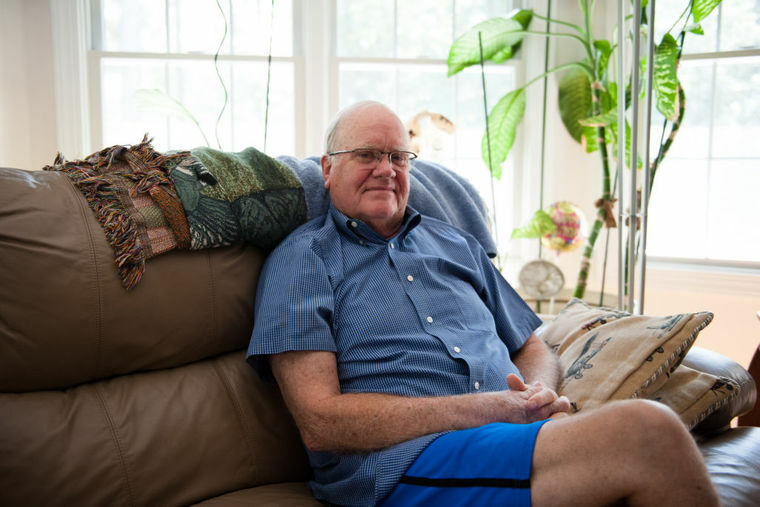 Fred Para sits for a portrait on his couch in his home on September 3, 2015 in Whispering Pines. It has been just over three months since Para was involved in a plane crash that killed his wife and left him with severe injuries. He continues to make progress in his rehabilitation and hopes to pilot an airplane again soon. On June 2, 2015, about 0800 eastern daylight time, a Beech A36, N985K, was substantially damaged when it impacted terrain while attempting to land at Siler City Municipal Airport (SCR), Siler City, North Carolina. The private pilot was seriously injured, and the commercial pilot-rated passenger was fatally injured. The airplane was privately owned and operated under the provisions of 14 Code of Federal Regulations Part 91. Instrument meteorological conditions prevailed, and no flight plan was filed for the personal flight, which originated from Moore County Airport (SOP), Pinehurst, North Carolina. According to a friend of the pilot, the purpose of the accident flight was to reposition the airplane in order to have maintenance performed on the alternator. The accident airplane departed from SOP, and, due to concerns related to the airplane's electrical system, the pilot kept the landing gear extended for the duration of the flight and planned to utilize a handheld communication radio. The friend departed SOP a short time later in his own airplane and arrived in the area of SCR before the accident airplane. The friend reported that a "haze" layer was present near the north side of the airport that was not present toward the south. The friend subsequently maneuvered his airplane so that the accident airplane could enter the traffic pattern and land first. The accident airplane initially entered the traffic pattern on a downwind leg for landing on runway 22, but upon noting the haze to the north, the pilot announced that they would transition over top of the airport to a left downwind for landing on runway 4. The friend intermittently observed the accident airplane as it maneuvered and noted that, while on the downwind-to-base turn to the runway, the airplane was near the runway in a left bank and nose-high attitude. He further described the turn from base to final as "too tight," and he thought that the airplane had entered an accelerated stall. When he next saw the airplane, it was in a nose-down attitude heading toward a stand of trees that bordered the runway's east side short of the runway threshold. The friend did not observe the impact, but when he did not receive a reply to his inquiries as to their position, he assumed that the airplane had crashed. He subsequently orbited the area where he last observed the airplane and located the accident site. He then landed his own airplane, contacted emergency services, and proceeded to the accident site to render assistance. The pilot seated in the left seat held a private pilot certificate with a rating for airplane single-engine land. He held a Federal Aviation Administration (FAA) third-class medical certificate, which was issued in June 2014. On the application for that certificate, he reported 1,430 total hours of flight experience. The pilot-rated passenger, who was seated in the right seat, held a commercial pilot certificate with ratings for airplane single- and multi-engine land, and instrument airplane, as well as a flight instructor certificate with ratings for airplane single- and multi-engine land and instrument airplane. The passenger held an FAA second-class medical certificate, which was issued in September 2014, and on the application for that certificate, she reported 4,900 total hours of flight experience. According to the friend, the passenger was not operating in the capacity of a flight instructor on the accident flight. An FAA inspector examined the airplane at the accident site and identified the initial impact point as a tree located about 500 ft southeast of the runway 4 approach threshold and about 300 ft southeast of the extended runway centerline. The wreckage came to rest about 65 ft from the initial impact point on a 65° magnetic bearing. First responders advised the inspectors of an odor of fuel at the accident site but indicated that there was no postimpact fire. Detailed examination of the wreckage confirmed flight control continuity from the control column and rudder pedals to each flight control surface. The landing gear selector switch was found in the extended position, and examination of the landing gear actuators revealed positions consistent with the landing gear being extended at impact. The flap actuator was found in the retracted position. One of the three propeller blades was separated from the propeller hub, and all three blades exhibited chordwise scratching. The airplane's alternator was removed and placed on a test bench. The alternator failed the diagnostic test run, with the report noting that the unit produced "low output" and recommending replacement of the stator and/or rotor. The 0755 weather observation at SCR included calm wind, 7 statute miles visibility, a broken ceiling at 200 ft, and overcast ceiling at 9,000 ft, temperature 19°C, dew point 19°C, and an altimeter setting of 30.04 inches of mercury. At 0815, the weather conditions included 5 statute miles visibility in light rain, scattered clouds at 200 ft, scattered clouds at 6,500 ft, and an overcast ceiling at 8,000 ft. The North Carolina Department of Health and Human Services, Office of the Chief Medical Examiner, Raleigh, North Carolina, performed an autopsy of the pilot-rated passenger. The reported cause of death was "multiple injuries." On June 2, 2015, about 0800 eastern daylight time, a Beech A36, N985K, was substantially damaged when it impacted terrain while attempting to land at Siler City Municipal Airport (SCR), Siler City, North Carolina. The private pilot was seriously injured, and the commercial pilot-rated passenger was fatally injured. Instrument meteorological conditions prevailed, and no flight plan was filed for the flight, which originated from Moore County Airport (SOP), Pinehurst, North Carolina. The personal flight was conducted under the provisions of Title 14 Code of Federal Regulations Part 91. According to a friend of the pilots, the purpose of the accident flight was to reposition the airplane in order to have maintenance performed on the alternator. The accident airplane departed from SOP, and due to concerns related to the airplane's electrical system, the pilots kept the landing gear extended for the duration of the flight. The friend departed SOP a short time later in his own airplane, and arrived in the area of SCR prior to the accident airplane. The friend recalled that the airport's automated weather observation system was reporting a visibility of 7 statute miles, scattered clouds at 400 feet, and an overcast ceiling at 9,000 feet. He also reported that a "haze" layer was present near the north side of the airport that was not present toward the south. The friend subsequently maneuvered his airplane so that the accident airplane could enter the traffic pattern and land first. The accident airplane initially entered the traffic pattern on a downwind leg for landing on runway 22, but upon noting the haze to the north, the pilots announced that they would transition over top of the airport to a left downwind for landing on runway 4. The friend intermittently observed the accident airplane as it maneuvered, and noted that while on the downwind-to-base turn to the runway, the airplane was in close proximity to the runway, in a left bank and nose-high attitude. When he next saw the airplane, it was in a nose-down attitude, heading toward a stand of trees that bordered the runway's east side, short of the runway threshold. The friend did not observe the impact, but when he did not receive a reply to his inquiries as to their position, assumed that the airplane had crashed. He subsequently orbited the area where he last observed the airplane and located the accident site. He then landed his own airplane, contacted emergency services, and proceeded to the accident site in order to render assistance. The pilot seated in the left front seat held a private pilot certificate with a rating for airplane single engine land. He held a Federal Aviation Administration (FAA) third-class medical certificate, which was issued in June 2014. On the application for that certificate, he reported 1,430 total hours of flight experience. The pilot-rated passenger seated in the right front seat held a commercial pilot certificate with ratings for airplane single and multi-engine land, and instrument airplane, as well as a flight instructor certificate with ratings for airplane single and multi-engine land, and instrument airplane. According to the friend, she was not operating in the capacity of a flight instructor on the accident flight. She held an FAA second-class medical certificate, which was issued in September 2014, and on the application for that certificate, she reported 4,900 total hours of flight experience. An FAA inspector examined the airplane at the accident site and identified the initial impact point as a tree located about 500 feet southeast of the runway 4 approach threshold, about 300 feet southeast of the extended runway centerline. The wreckage came to rest about 65 feet from the initial impact point, on a 65-degree magnetic bearing. First responders advised the inspectors of an odor of fuel at the accident site, but that there was no post-impact fire. The wreckage was recovered, and a detailed examination was scheduled for a later date. A trailblazing female industrial shop teacher in Somers Point who overcame a fear of heights to develop a second career in aviation was killed in a North Carolina plane crash Tuesday, her brother said. 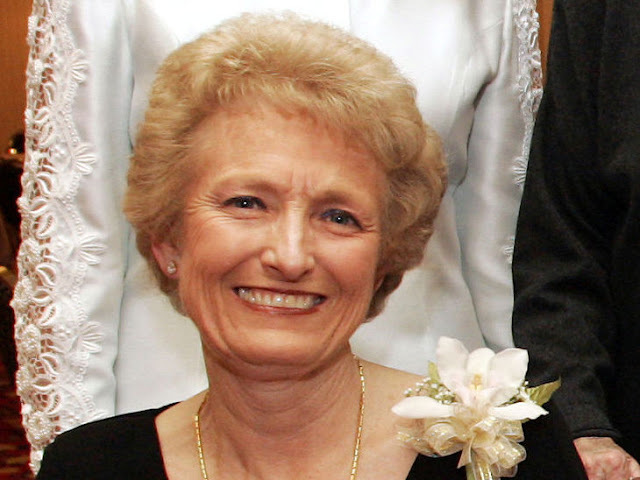 Barbara Harris-Para, 69, had also worked for the Federal Aviation Administration’s William J. Hughes Technical Center in Egg Harbor Township and was a former president of the Mullica Township Board of Education. She died when a plane her husband was piloting, their single-engine Beechcraft A-36 Bonanza, crashed into woods during a landing attempt at Siler City Municipal Airport, North Carolina media outlets reported. Frederick Para, 72, who suffered broken bones and other injuries in the crash, is hospitalized and was unaware Wednesday that his wife had died, Harris-Para’s brother Kenneth Harris said. The couple, who were married for more than 30 years, lived in the Sweetwater section of Mullica Township before moving to North Carolina in 2006. “She’s had a big, long career and I just wish I had half her energy,” said Harris, who lives in Arizona. Harris-Para was a flight instructor and was once governor of the New Jersey/New York section of the Ninety-Nines, a women’s flying club founded by aviation pioneer Amelia Earhart. For her, aviation was not a childhood dream, but it turned into one later in life. “She was always afraid of heights, believe it or not. She decided she would learn how to fly to overcome her fear of heights. Then she really got into it,” her brother said. Over the next 30 years, she became a very experienced pilot and a flight instructor and, after retiring from teaching in 1998, she worked for the FAA as a Freedom of Information Act officer, he said. Harris-Para was born in Massachusetts and lived in South Jersey most of her life. Her Linked In profile says she graduated from Williamstown High School in 1963, a time when she was allowed to work in woodshop and metal shop only after school. After college, she went on to teach those subjects and mechanical drawing to seventh- and eighth-graders in Somers Point for decades before retiring in 1998. Susan Dugan, now the principal of the Jordan Road School in Somers Point, taught across the hallway from Harris-Para’s class for about eight years. “She was really a woman before her time, or maybe of the time,” Dugan said. Harris-Para served on the Mullica Township Board of Education for nearly 18 years, including 10 as president. She stepped down in 2006. “We’re just deeply saddened that such a vibrant woman would be tragically lost, actually doing something she completely loved doing — flying,” said Barbara Rheault, Mullica Township Education Association president, who was nearby neighbors with Harris-Para in Sweetwater. “She was a very well-respected and forward-thinking woman, extremely civic-minded, and she generally cared about the betterment of her community,” Rheault said. A tribute to Harris-Para’s community involvement still exists in a popular photograph taken at the Mullica Township school in 2000. Students, staff and teachers assembled in a back lot of the school to make a “2000” visible from the air. A parent took the photo from an airplane. And Harris-Para piloted that plane. “That was a lasting tribute because we still have those pictures hanging in the school. And she flew the plane,” Rheault said. On Wednesday, the National Transportation Safety Board was working with the FAA on the investigation. An assistant manager at Siler City Municipal Airport told The News and Observer on Tuesday the Paras were trying to land following a flight for maintenance. A low ceiling prevented the airplane from approaching the 5,000-foot runway from one side, so the pilot circled to land from the other way, Ben Marion told The News and Observer. A North Carolina State Highway Patrol trooper told WRAL.com that the engine stalled and the plane had a loss of power at about 8 a.m. Tuesday. Probable causes of fatal plane crashes can take a year or longer to determine. SILER CITY, N.C. - A 69-year-old passenger died Tuesday in a small plane crash while it was trying to land at the Siler City Municipal Airport in Chatham County. Frederick Calvin Para, 72, of 26 Winding Trail, Whispering Pines, was piloting the aircraft when it crashed Tuesday morning. His wife, Barbara Harris Para, died as a result from her injuries sustained in the crash, the North Carolina State Highway Patrol said. Airport Manager Karen McCraw said the plane came down in some woods near the runway around 8 a.m. Tuesday. Assistant manager Ben Marion said the plane was coming from Southern Pines for maintenance. He said the pilot was making a second approach for the landing when the plane went down. 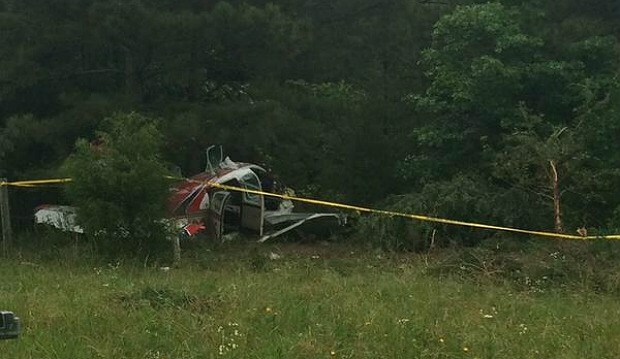 One person was flown to UNC Hospitals in Chapel Hill. The other person was taken there by ambulance. There were no injuries on the ground. 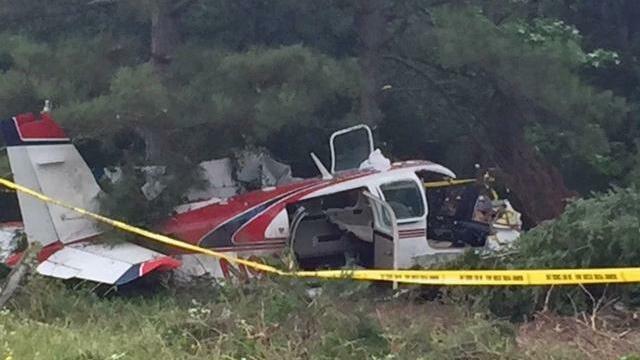 The Siler City Municipal Airport assistant manager said the husband and wife were both experienced pilots. The 5,000-foot runway was closed for around five hours. McCraw said the plane was a Beech A36 Bonanza. SILER CITY -- A woman was killed and her husband injured when their single-engine airplane crashed into trees while trying to land at the Siler City Airport on Tuesday morning, officials said. Frederick Calvin Para and his wife, Barbara Harris Para, of Whispering Pines were aboard a Beech A36 Bonanza that crashed shortly before 8 a.m., according to state officials. Barbara Para, 69, later died at UNC Hospitals in Chapel Hill, where her husband, 72, was listed in stable condition. Ben Marion, assistant manager of the city-owned airport, said the Paras were attempting to land after a flight from Southern Pines for maintenance. A low ceiling kept the plane from making an approach to the single runway from one end, and the pilot circled around to land from the opposite direction, from the southwest, Marion said. It was unclear what happened while the plane was going around, Marion said, but it went into trees east of the runway while making the second approach to the 5,000-foot paved airstrip. Emergency officials were called at 7:54 a.m., Carolyn Miller from the county’s Emergency Operations Center said. The Paras had to be freed from the wreckage, Miller said. KARACHI: Despite a lapse of over six weeks, no action has been initiated by the aviation regulator as well as by the Pakistan International Airlines (PIA) against the influential pilot, Qasim Hayat, who violated air safety laws and put the lives of over 350 Toronto-bound passengers at risk, it is learnt here reliably. According to highly placed sources, the PIA, succumbing to the pressure of the influential pilot, has put the issue which it earlier considered “sacrosanct”, on the back-burner, while the Civil Aviation Authority (CAA), the aviation regulator, did not even bother responding to queries by Dawn about it. The sources said that Islamabad-based pilot Mr Hayat had not taken the mandatory 24-hour rest before he operated the Toronto-bound flight PK 789 on April 7, 2015. The mandatory rest is prescribed in the CAA’s laws so that the air crew is not tired during flight duty, as a fatigued crew can result in a disaster. Sources said that PIA, following the 24-hour mandatory rest requirement in mind, had scheduled Mr Hayat to fly from Islamabad to Lahore on April 5, take rest at a Lahore hotel for two days, and then operate the Canada-bound flight on April 7. Instead, Mr Hayat did not fly from Islamabad to Lahore as scheduled on April 5, and stayed back overnight and then flew to Lahore on the evening of April 6, reaching Lahore late at night, and then operated the Toronto-bound flight early on April 7, after hardly taking seven to eight hours rest. Sources added that out-of-station crew members of the flight operated by Mr Hayat be also included in an inquiry as to why they did not raise objections knowing that the pilot had not taken the mandatory rest; the crew had also taken rest in the same hotel. The names of the crew members, as filled in the list by pilot Mr Hayat are: pilots Anwar, Navid and Zain. Cabin crew included Anwer Sultana, Syed Kashif, Uzma Furqan, Sheema Khan, Saima Arshad, Asim Soomro, Aamir Niaz, Sana Aziz, Qudsia Hassan, Samreen, Kanchan, Anila Iftikhar, Ambar Hasan and Yawar Shehzad. However, responding to the newspaper on Sunday, a couple of weeks after the issue was highlighted in the media and around six weeks after the incident, Mr Memon said the inquiry had not even been initiated yet as Mr Hayat was on vacation. To another question that every information — his travel to Lahore from Islamabad and then his travel to Toronto from Lahore, his stay at Lahore hotel etc — was a matter of PIA’s own record and could be verified by the airline without Mr Hayat being present, Mr Memon insisted that Hayat’s presence was necessary. To a question by this reporter, the CAA spokesperson Pervez Geroge did not respond though he was contacted repeatedly through telephone as well as email. Mr Pervez always said that he would ask the officials concerned — in this case deputy director general as well as director of flight standards — but he never gave any reply whether the CAA had initiated an inquiry into this serious violation of air safety law committed by PIA pilot Mr Hayat. The sources said that PIA and CAA did not take any action if the violator was an influential person, as apart from Mr Hayat, another influential PIA pilot, Amir Hashmi, who is also president of the Pakistan Air Lines Pilots Association (PALPA), had violated the same 24-hour rest law. A few months back he flew from New York to Pakistan and in another incident flew from Lahore to Canada without taking the required duration of rest before operating these Trans-Atlantic long haul flights putting the lives of hundreds of passengers at risk. The sources said that it was high time the federal government launched a high-level inquiry into the affairs of PIA as well as CAA to investigate why no probe by either organizations was conducted against the violators of air safety law when the issues were highlighted by the media. SOUTH PHILADELPHIA (WPVI) -- Stadium security and police were called after a man was caught flying a drone during a Phillies game at Citizens Bank Park in South Philadelphia. It happened around 4:00 Sunday afternoon. Authorities say it was spotted flying near third base but it's not clear how high the drone actually went. Phillies staff saw the drone from inside the ballpark but it landed outside. The man cooperated with authorities. The drone was confiscated by Eagles security but will be returned sometime Sunday evening. Police say they still need to investigate where the man was standing when he controlled the drone. It has to stay within a controller's line of sight. It's also not clear which stadium property he was standing on - Lincoln Financial Field or Citizens Bank Park. Police say security from both stadiums are allowed to stop or detain someone for flying a drone. Action News reached out to the man but he declined to speak with us. While no charges will be filed it's still possible that the man will face an Federal Aviation Administration penalty or even a fine. There are restrictions about flying drones over stadiums, large gatherings and near airports. Police plan to follow up with the Federal Aviation Administration on Monday. On May 30, 2015, about 1130 Alaska daylight time, a Cessna 207, N1653U, sustained substantial damage after impacting trees about 40 miles southeast of Bethel, Alaska. The airplane was being operated by Yute Air, Bethel, Alaska as a visual flight rules (VFR) postmaintenance flight under Title 14, CFR Part 91, when the accident occurred. The commercial pilot, the sole occupant, sustained fatal injuries. Visual meteorological conditions were reported in the area of the accident, and company flight following procedures were in effect. The accident flight originated at the Bethel Airport, Alaska about 0830, with an expected return time of 1200. About 1415, flight coordination personnel from Yute Air in Bethel notified the Director of Operations (DO) that the accident airplane was overdue. About 1435 the DO notified the Federal Aviation Administration (FAA) who issued an alert notice (ALNOT). About 1532, an aerial search was initiated by Yute Air, Alaska State Troopers, Alaska Air National Guard as well as other air operators and Good Samaritans. On May 31, about 1730 searchers discovered the airplane's submerged and fragmented wreckage in a river slough. On June 1, the National Transportation Safety Board (NTSB) investigator-in-charge (IIC), along with an additional NTSB investigator, an inspector from the Anchorage Flight Standards District Office (FSDO), and members of the Alaska State Troopers, traveled to the accident scene by helicopter and river boats. 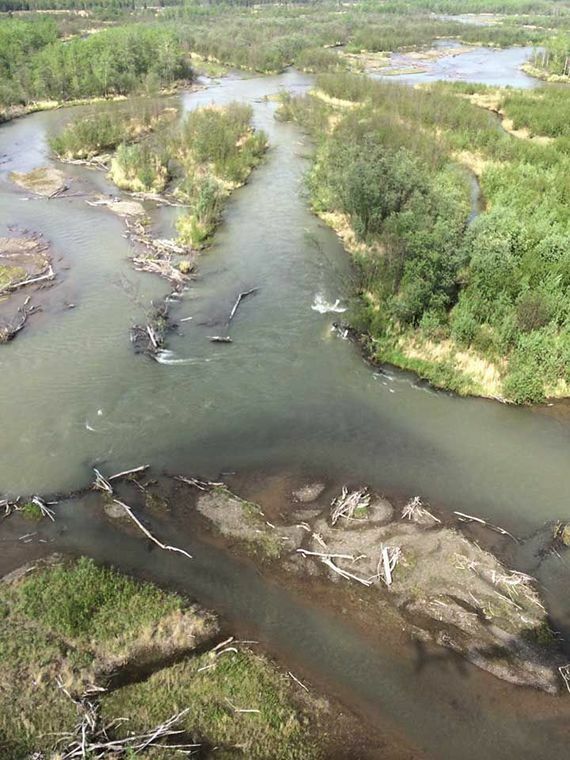 The main wreckage was located submerged in a fast flowing braided river that was surrounded by trees. An area believed to be the initial impact point was marked by a broken treetop, atop about a 30 foot tall birch tree. From the initial impact point the airplane traveled northbound, about 350 feet, coming to rest on its left side, and in the fast moving river water. The engine separated from the airplane and it was located submerged upstream and in the main river channel. The pilot's body was discovered still restrained within the submerged fuselage. An on-scene documentation of the debris field was completed, and a detailed wreckage examination is pending following recovery of the airplane. The accident airplane was equipped with automatic dependent surveillance-broadcast (ADS-B) technology. In typical applications, the ADS-B capable aircraft uses an ordinary Global Positioning System (GPS) receiver to derive its precise position from the Global Navigation Satellite System (GNSS) constellation, and then combines that position with any number of aircraft parameters, such as speed, heading, altitude, and aircraft registration number. This information is then simultaneously broadcast to other ADS-B capable aircraft, and to ADS-B ground, or satellite communications transceivers, which then relay the aircraft's position and additional information to Air Traffic Control centers in real time. A preliminary NTSB review of ADS-B data archived by the Anchorage Air Route Traffic Control Center (ARTCC) showed that the accident airplane was transmitting data for portions of the accident flight. At the last recorded ADS-B position, which was about 6 miles southwest from the accident site, the airplane was flying at an altitude of approximately 475 feet mean seal level (msl), while traveling in an easterly-northeasterly direction. A detailed NTSB analysis of the archived ADS-B data is pending. The airplane was equipped with a Continental Motors IO-520 engine. A detailed NTSB examination of the engine is pending. The closest weather reporting facility was Bethel, about 40 miles northwest of the accident site. At 1053, an aviation routine weather report (METAR) was reporting, in part: Wind 210 degrees at 10 knots; visibility, 10 statute miles; clouds and sky condition, few at 12000 feet, scattered at 2000 feet; temperature, 16 degrees C; dew point, 9 degrees C; altimeter, 30.12 inHG. ANCHORAGE, Alaska (AP) — The body of a missing Yute Air pilot was found inside the upside-down wreckage of a small plane that had just been equipped with a new engine, Alaska State Troopers said Tuesday. Responders tentatively identified the body found in the Cessna 207 on Monday as 47-year-old Blaze Highlander of Olympia, Washington. 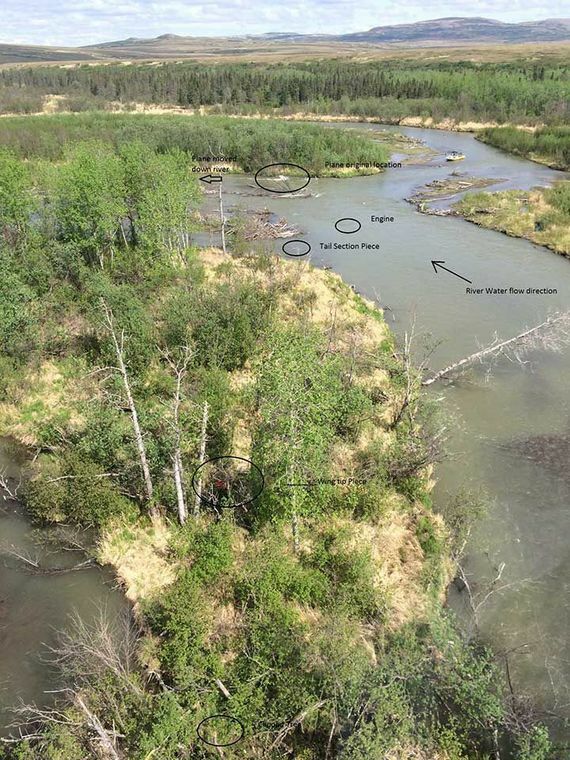 The aircraft was found in the Kwethluk River about 40 miles southeast of Bethel, but challenging conditions are slowing efforts to recover the submerged body and wreckage. Highlander, who survived an earlier Yute Air plane crash, was last seen leaving Bethel Saturday morning. Troopers said he was breaking in a new engine for the plane. He was the only person on board. 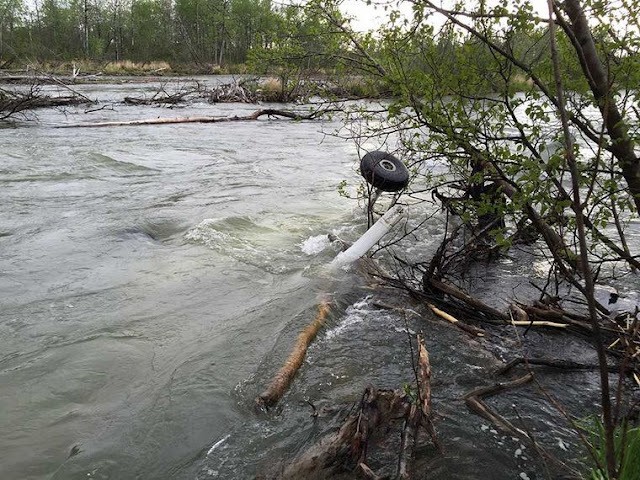 The wreckage was spotted by another Yute Air pilot Sunday evening, but recovery efforts have been stymied by adverse weather and river conditions. Responders on the scene found the plane in pieces and submerged in up to 8 feet of water, according to Clint Johnson, head of the National Transportation Safety Board's Alaska office. "This is a very fast-moving river," Johnson said. "And when there's a fair amount of rain upstream, there's pretty much a wall of water." Johnson said it's unclear if the plane broke apart because of the impact or the river conditions, Johnson said. Yute Air's Bethel station manager Andrew Flagg referred questions to company operations manager Dan Knesek, who did not immediately respond to requests for comment Tuesday. In December 2011, Highlander survived a plane crash near Kwigillingok, escaping with only minor injuries. Highlander was the only person on board the Yute Air-owned Cessna 207 when the crash occurred about 80 miles southwest of Bethel. The cause of that crash was determined by the NTSB to be the pilot's decision to continue flying in bad weather that iced up the wings. It's too early to say what caused the weekend crash, which occurred when the weather was clear and calm, at least in Bethel, according to Johnson. He said weather is not a top priority in the investigation at this point. NTSB investigations also look at pilot error and mechanical problems as possible causes. Yute Air serves more than 22 communities in the Yukon-Kuskokwim Delta region of southwest Alaska, providing scheduled air service and charters. Update, 10:30 a.m. Monday: A Yute Air plane missing after flying out of Bethel Saturday was found crashed in the Kwethluk River at 6:45 p.m. Sunday, according to the Alaska National Guard. "Wreckage was initially spotted by a Yute Air pilot who was flying a company aircraft during the search," said National Guard spokeswoman Lt. Col. Candis Olmstead Monday. "The Civil Air Patrol flew over the area moments later and were able to confirm the aircraft wreckage." Rescue and recovery efforts are underway, authorities said. A preliminary FAA incident report posted Monday says that the missing Cessna 207 was found 40 miles from Bethel. The preliminary data says the status of the pilot -- the lone person aboard the Cessna -- is "unknown." Olmstead said that Alaska State Troopers headed to the scene in a jet boat early Monday morning, along with a trooper helicopter and investigators from the National Transportation Safety Board and FAA. Original story: A major search is underway in Western Alaska for a Yute Air pilot who didn’t return from a post-maintenance check flight out of Bethel on Saturday. The pilot, flying a Cessna 207, left from the regional airline’s hub in Bethel Saturday morning at about 8:30 a.m., said Clint Johnson, Alaska chief for the National Transportation Safety Board. The pilot planned to head east of Bethel for a three-and-a-half hour flight, said Daniel Knesek, director of operations for Yute Air. “He was considered overdue at 12:30 p.m. and we have been actively searching for him and the aircraft thereafter,” Knesek wrote. Johnson said it was too early for his agency, which investigates aircraft accidents, to be actively involved. “We don’t know if it’s an accident yet,” Johnson said. The Alaska Rescue Coordination Center is heading up a search, said Alaska State Troopers spokesman Tim Despain, with trooper aircraft assisting Civil Air Patrol and military aircraft in the search. Several local air carriers and pilots operating in Western Alaska have also joined the search. “Hageland Aviation, Grant Aviation, Ryan Air and Renfro’s Alaskan Adventures and the State Troopers have all provided pilots and aircraft to help since the search began,” Knesek said. "Our efforts will continue." Yute Air serves more than 22 villages in the area of the Yukon-Kuskokwim Delta, with scheduled air service and charters on a fleet of Cessna 207 and 172 airplanes. The City of Naples Airport Authority has issued a Request for Qualifications for firms qualified to assist in the search for a new executive director. Ted Soliday, who has served in the position since 1994, has announced plans to retire in April 2016. The Airport Authority’s Consultant Selection Committee will evaluate the proposals, interview the firms, rank them, develop a scope of work and, at the June 18 meeting of the Board of Airport Commissioners, recommend hiring one of the firms. Naples Municipal Airport, a certificated air-carrier airport, is home to flight schools, air charter operators, car rental agencies and corporate aviation and nonaviation businesses as well as fire/rescue services, mosquito control, the Collier County Sheriff’s Aviation Unit and other community services. During the 2013-2014 fiscal year, the airport accommodated 95,120 takeoffs and landings. All funds used for the airport’s operation, maintenance and improvements are generated from activities at the airport or from federal and state grants; the airport receives no property tax dollars. The Florida Department of Transportation values the airport’s economic impact to the community at $283.5 million annually. Naples Municipal Airport operates as a general aviation airport but complies with the same Federal Aviation Administration standards and safety guidelines as airports with commercial airline service, maintaining the same level of security and adhering to all Transportation Security Administration and FAA directives. During a recent annual inspection, the FAA found the airport 100 percent in compliance with Federal Aviation Regulations Part 139 requirements. To learn more or to subscribe for email updates about the airport, visit www.FlyNaples.com. In August 1918, pilots from Payne Field, U.S. Army Air Service, flew to a barbecue in Artesia and landed in a field near the Methodist Church. The late Sam Kaye found photographs of the barbecue, including this one of the Payne Field pilots, in his mother's scrapbook. Just 10 years after the Wright brothers had delivered the first airplane to the newly formed U.S. Army Air Service, aircraft were playing an important role in World War I. With the need to rapidly increase the number of pilots, the Army Signal Corps began establishing pilot training based around the country. In 1917 West Point, Mississippi, was selected as the site for one of those training bases. The field was constructed on 533 acres of open prairie about four miles north of town and named Payne Field. 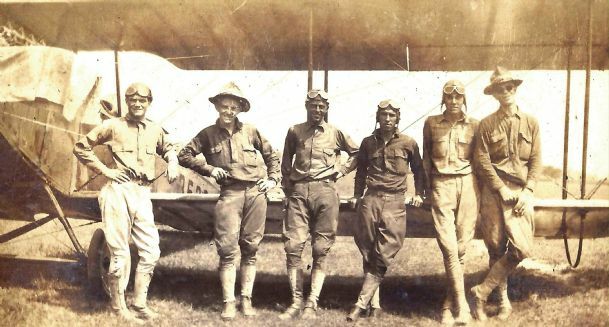 The pilots at Payne Field trained in Curtiss JN-4 airplanes which were called "Jennys." The Jenny had a top speed of 75 mph and a ceiling of 11,000 feet. The first squadron arrived on March 10, 1918. By May 1 the field was fully operational with 125 Jennys soon in the air. Eventually, about 1,500 pilots would train at the field. Most people around West Point had never seen an aircraft before and called the Jennys "buzz wagons." The aviators were called "birdmen." The aircraft were used for pilot training and missions related to base operations. Planes did flyovers at public events such as Liberty Bond drives. In 1918, after Aviation Cadet Joseph Peters, of Columbus, was killed in an air crash at Kelly Field in Texas, his funeral was at Friendship Cemetery in Columbus. Pilots from Payne Field flew over the funeral service dropping flowers as Peters' body was lowered into his grave. However, there apparently were many flights by pilots that were under the radar -- if they had even had radar back then. One which was authorized but out of the ordinary was newspaper delivery. on Aug. 21, 1918, a base newspaper, the Payne Field Zoom, was established. It was announced that area towns that had at least 50 subscribers would receive weekly delivery of the paper by airplane. The towns in the coverage area included Macon, Artesia, Columbus, Starkville, Okolona, Tupelo, Aberdeen and Brooksville. Payne Field planes would land near each town and bundles of papers would be picked up by post office personnel for delivery. In September 1918, a Payne Field story made national news. Wardie Dawson was a "paralyzed crippled boy" living in Okolona whose brothers were in the military but be was unable to serve and lived at home. He wrote Lt. Col. Jack Heard, the field commander, a letter asking if a plane might land at his house so that he could see it. Heard wrote back a letter of encouragement but that there was no place for a plane to land. Heard then had a plane deliver the letter by flying at tree top level over the boy's house and drop the letter to him. While those uses of aircraft are such as the Air Force might do today, others were not. I heard family stories about my grandfather, T.C. Billups, who lived at Billups Gate near Artesia. In the fall he had dove hunts and pilots from Payne Field would be invited. They would fly down, land in a pasture and then go hunting. After the hunt and after the hunt party was over, they would fly back to the base. On Aug. 16, 1918, there was a big barbecue and Brunswick stew picnic in Artesia. It was said that almost 1,000 people attended. The barbecue was held next to the Methodist Church and a number of pilots from Payne Field flew down and landed in an open field near the church. Pictures of the event with the pilots and their planes were taken. Several years ago the late Sam Kaye found those photos in his mother's scrapbook. Probably the most unusual flights, though, left no record. In 1918, Columbus Police Chief John Morton, Payne Field Intelligence Officer Lt. McClean and Federal Revenue Agent Fry raided a bootlegging/moonshine operation on the Pickensville Road, 12 miles southeast of Columbus. The raid was based on information that pilots from Payne Field may have been flying down, landing in a field near the location of a still and buying moonshine. The raid turned up 2 gallons and one quart of moonshine but only "some evidence" that there had been a still there. The moonshiner was found guilty by Justice of the Peace G.D. McKeller and sentenced to pay a fine of $50 and spend 30 days on the County Farm. It is interesting that only evidence there had been a still was found and that it was the Columbus Police Chief and not the sheriff who participated, though, the raid was in the county, not the city. The early days of the U.S. Army Signal Corps Air Service must have been very interesting. Thanks to Carolyn Kaye for help with this column. As the Air Force Academy heads into its busiest flying season, cadets will wake up earlier and climb higher to keep peace with the school's neighbors. The academy's Col. Steve Burgh said getting cadets in planes at 6 a.m. will solve some noise issues over northern Colorado Springs neighborhoods and fix a training problem. The academy's T-53 trainer planes don't come with air conditioning, so rising early means a more comfortable flight, he said. To deal with noise, Burgh will have the cadets start their flights with a corkscrew ascent over the academy's airfield. By starting an hour early, the T-53 trainers won't have to compete with the school's gliders and parachutists for airspace, giving them time to circle their way to altitude before heading east across northern Colorado Springs to rural training areas. That will put the planes higher when they pass over homes, and with the ascent completed they can fly at a more ear-friendly throttle setting. "We'll be above 1,000 feet," Burgh said. "We can be at cruise throttle." The quieter morning flights might not be enough to quiet complaints from neighbors. The school modified its flight patterns in 2013 to avoid conflicts with commercial flights headed to airports in Denver and Colorado Springs. That pushed more planes over neighborhoods from Gleneagle to Briargate. Neighbor Martha Brewer said the higher morning flights will address some of the neighbor's safety concerns, but flights at lower altitudes during the rest of the day remain a worry. "All that remains to be seen," she said. Brewer last year complained to the Federal Aviation Administration about low-flying cadet flights. The agency determined the academy was flying within safety rules. "As no violation was substantiated, the FAA considers this matter closed," the agency wrote to Brewer. Burgh said the academy has emphasized safety in its flight programs. Safety concerns drove the school to pick the T-53, a plane that's equipped with a parachute that can bring the entire craft safely to Earth in an emergency. The school says it's taking another step to make flights safer by telling instructor pilots to more quickly grab the controls when a student is flying too low over homes. "You don't want to fly for the student but we don't want them to mess up too much," explained the academy's Lt. Col. Christopher Hawn. More than 1,900 cadets per year take part in the academy's parachuting, glider and powered flight programs. Hundreds get their first taste of flying in the single-engine T-53, an Air Force variant of the civilian Cirrus SR-20. The training program isn't a replacement for later pilot training cadets will get after they graduate. Instead it's seen as something that develops leaders and gives all cadets, including those who won't fly for the Air Force, familiarity of what it takes to fly for the service. Much of that flight training takes place in a narrow two-month window starting in June, when cadets are out of class. "Summer is our go-to time because the cadets aren't restricted," Hawn said. A lot of the summer powered flight training takes place in eastern El Paso County, where cadets use the school's Bullseye Auxiliary Airfield to learn how to land and take off and learn maneuvering over wide-open ranch lands. But flights at the academy's airfield will continue. And just the first takeoffs of the day will use the corkscrew ascent for higher, quieter flights over neighborhoods. The academy is studying noise from flight programs for a report that should be completed later this year. Also underway is a Pentagon study of land use and encroachment in the Pikes Peak region that will analyze flight program issues at all local bases as a step to improving flight patterns and local zoning laws. That study is in its early stages. "We are always aware of noise and safety concerns of those who live in neighborhoods near the Academy," Burgh wrote in a message to neighbors sent last week. "We sincerely appreciate the continued cooperation and support of our good neighbors in Colorado Springs and surrounding communities." The academy will hear from its neighbors at a meeting Thursday arranged by the Colorado Springs Regional Business Alliance to address flight programs. "I plan to be there," Brewer said. Seattle City Light workers prepare to remove the drone from a high-voltage transmission line. 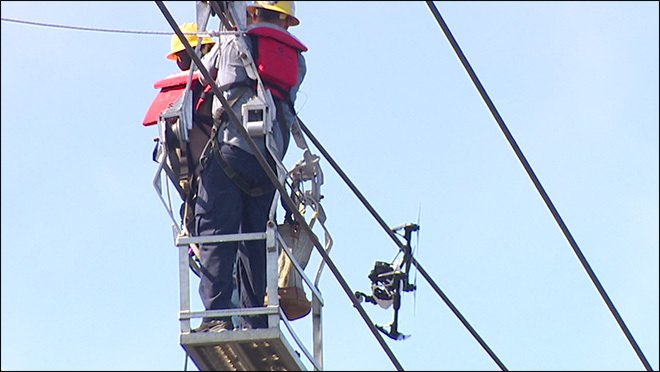 SEATTLE -- Seattle City Light crews freed a drone Saturday that had been stuck in a high-voltage transmission line over Lake Union for nearly a week. "This like the I-5 of the power industry," said Bernie Ziemianek, Seattle City Light. The drone was spotted in the line on May 24th, Ziemianek said. On Saturday, crews de-energized the line and raised a large basket into place as curious neighbors looked on. It took a few minutes for two workers to slide across the line and free the drone. "We were hopeful that maybe the wind would help us and get it out, but as you can see… it stayed up there for about a week," said Ziemianek. Ziemianek said the entire effort to remove the drone cost about $30,000-35,000. The amount includes the man-power to remove it and the hours spent over the past several days to come up with a plan to make sure no customers were impacted by the work, he said. "An unfortunate expense for all of us, but other than that… for me… more amusing that somebody doesn't know how to fly their new toy," said Webb Stevens, who lives nearby. The mishap is the latest in a string of potentially dangerous encounters involving drones as they continue to grow in popularity. A pilot had to pull a plane up 200 feet Friday to avoid hitting a drone as it approached New York's LaGuardia Airport, officials said. Drone use has also prompted many questions about privacy. The Federal Aviation Administration is currently working on new rules. Right now, anyone operating a drone is advised to stay below 400 feet and away from airports, officials said. Seattle City Light officials said drones should also be kept away from transmission lines. "Whether you're flying a drone or a radio-controlled helicopter or plane or even a kite, pay attention to where the power lines are at. Consider this a no-fly zone," said Scott Thomsen, Seattle City Light. Seattle police are now looking into how the drone got into the transmission line, officials said.